Wavin' Flag has become an international anthem. Its powerful words of hope have crossed generations and borders, and have made K'naan an international star. 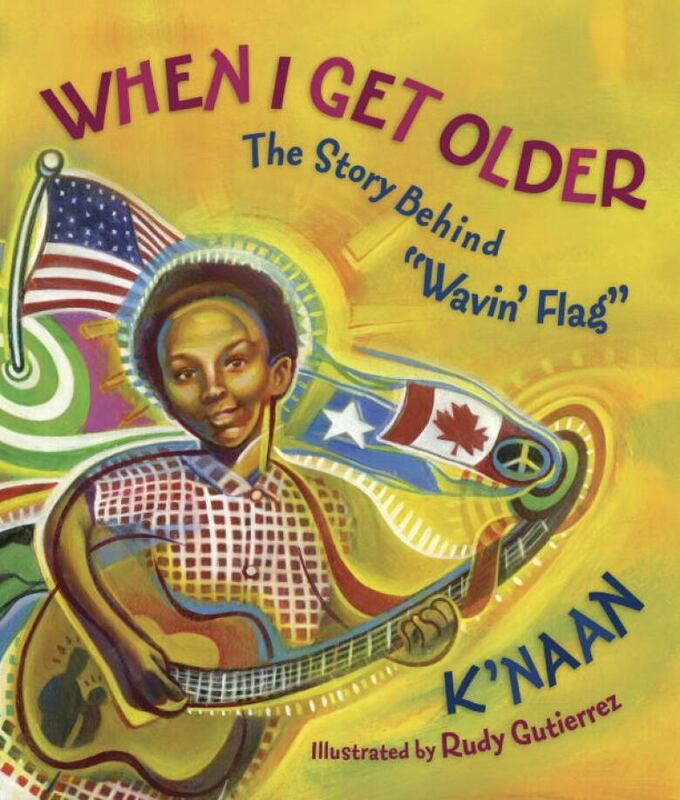 In his first book for children, When I Get Older, Somali-Canadian poet, rapper, singer, and songwriter K'naan tells his own story. Born in Somalia, he grew up in Mogadishu. His grandfather was a renowned poet who passed on his love of words to his grandson. When the Somali Civil War began in 1991, K'naan was just thirteen. His mother made the difficult decision to move her family so that they could grow up in safety. First in New York and then in Toronto, K'naan faced many challenges. Like so many other immigrants, he had to make a place for himself in a world of alien customs, clothes, and language. His road was a hard one: he lost many friends to violence. But K'naan's love of music, and his enormous talent, became a way for him to connect with his past, with his classmates, and eventually, to millions of people around the world. Not only does K'naan tell a story that will inspire and encourage young readers, but he provides a brief history of the Somalian conflict. The lyrics of "Wavin' Flag" are also included. Born Keinan Abdi Warsame, K'naan first came to prominence when he performed a spoken word piece before the United Nations High Commissioner for Refugees in 1999. A member of the audience, the singer Youssou N'Dour, was so impressed that he asked K'naan to take part in an album and to tour with him.